The outside of your business is the first thing that customers and employees see when they arrive. For good first impressions and when employees and customers return time after time, a nice presentation is part of your sales process. If your building hasn't been painted for years, the paint is fading, getting dull or chipping and peeling don't wait any longer to have it freshly painted. Hire a professional commercial painting contractor to help. If your building is older or if your company colors have changed, a nice new paint job will show that you are making an effort as a business owner which instills confidence in current and potential new customers. 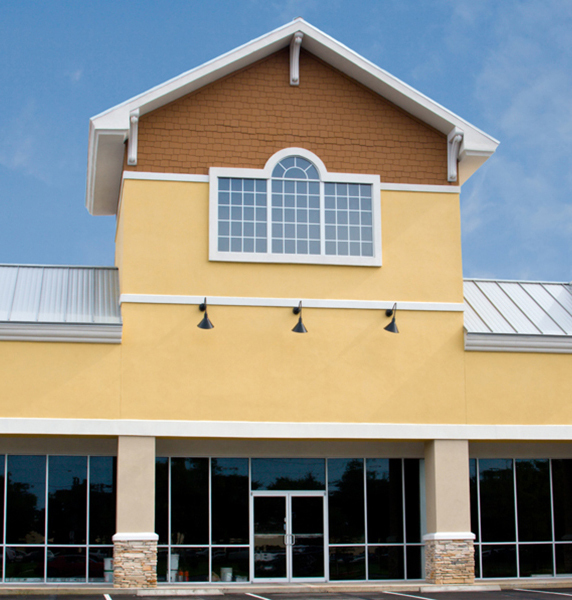 Bellmore's Finishing offers commercial painting services that will make the exterior of your commercial property look great! We pay close attention to detail and have the expertise and equipment to We aredo a fantastic job that you will be proud of and we provide excellent customer service during the entire project from start to finish. We provide an industry leading warranty for all of our work.